Following reports that Motorola would, too, get into the folding smartphone scene, the company today confirmed in an interview with Engadget that it is working on a folding device that would launch "[no] later than everybody else in the market. ”That put Motorola's timeline at sometime this year at the latest, with Samsung due to launch its April Fold in April and Huawei's Mate X in mid-2019. Motorola usually holds an annual smartphone launch event around August. That time last year, it announced its 5G-ready Moto Z3 with the 5G Moto Mod, so likely to get a glimpse that Motorola's take on foldable screens this summer. The Engadget interview also confirms The design would not have a screen on the outside of the device we've seen with the Galaxy Fold and Mate X. 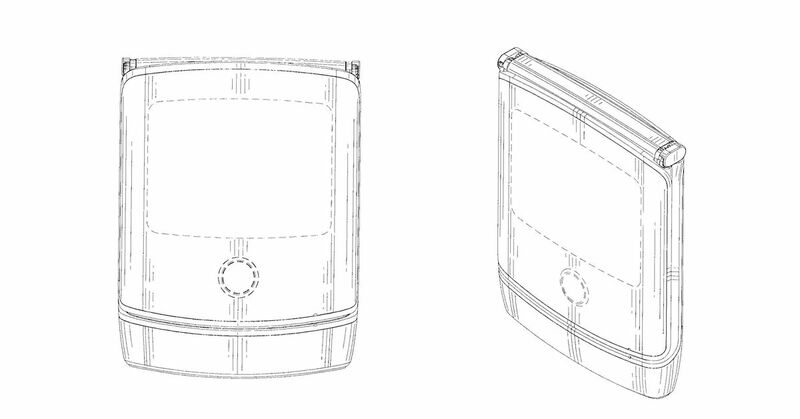 A recent patent filing this folding mechanism as horizontal, much like Motorola's RAZR flip phone. Also note that Motorola is exploring different takes on a foldable screen as well, including a singular screen that could fold twice. The intent is to minimize potential scratch-related defects. "When you know the scratching issues you would be facing, you will have something that is not very usable," he said. If the RAZR were to make a comeback, or if Motorola could figure out a way to make smartphones fold into smaller sizes, it'd be targeting a lot of different demographics: those who are ready to invest in foldable screens, those who miss the nostalgia of the RAZR phone, and those who have long known smartphones just better in smaller pockets (self and a million other women included.) Reviving old phones is also a popular strategy these days; Nokia HMD-owned last year re-released the updated Nokia 3310 and Nokia 8110 for much fanfare, though they were primarily advertised as novelty products than feature phones.